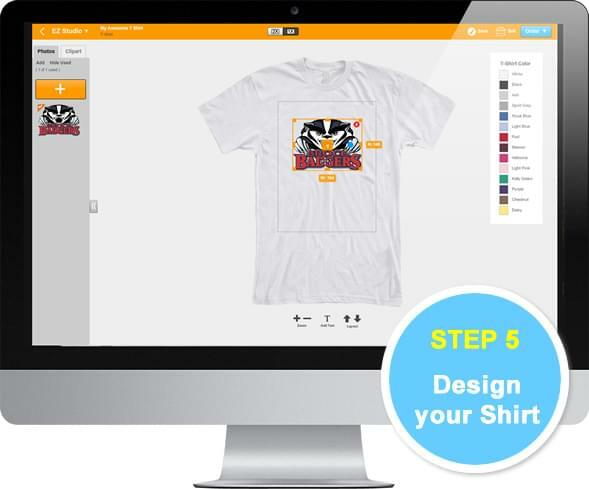 Here's how to design your own t-shirt in 6 easy steps! 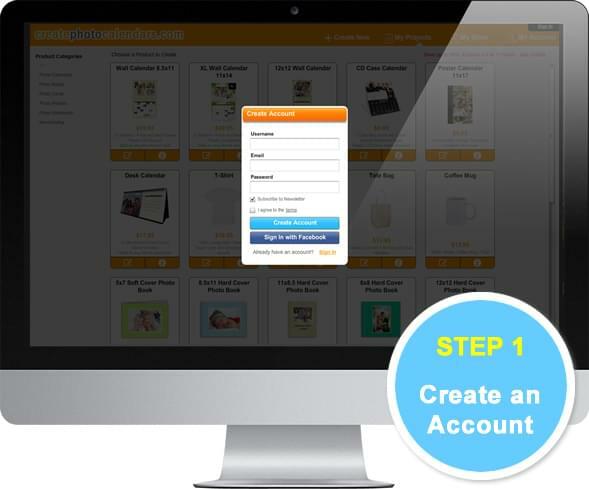 Create an account online. It's free. You can also sign-in with Facebook. 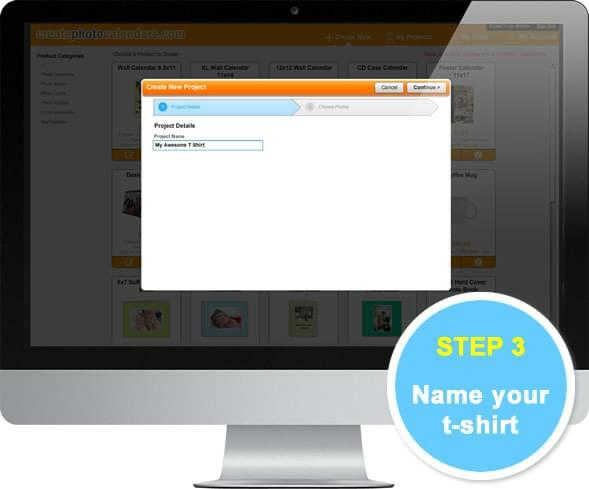 After you create your account, simply click the "Create New" tab. 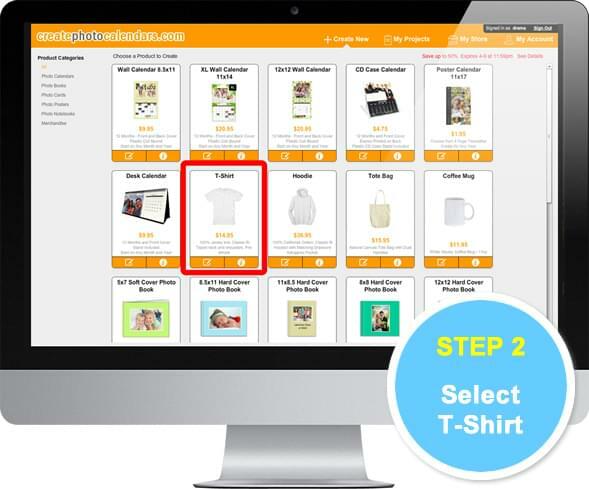 Now select T-Shirt from the list of products. Simply type in a project name. 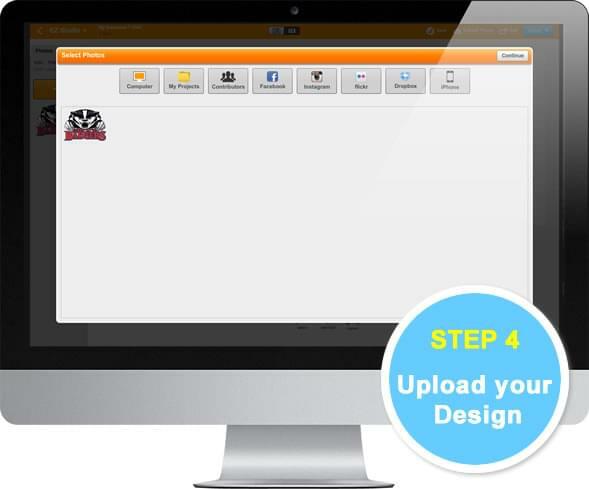 Upload your design or image from your computer, Facebook, Dropbox, and more. 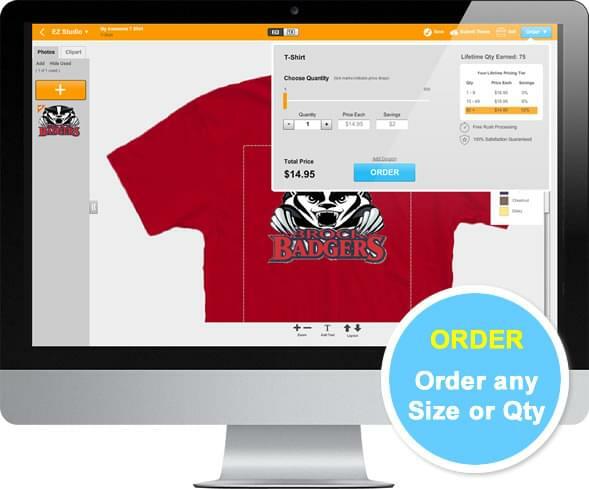 Add and position your design, add text, add clipart, and more. 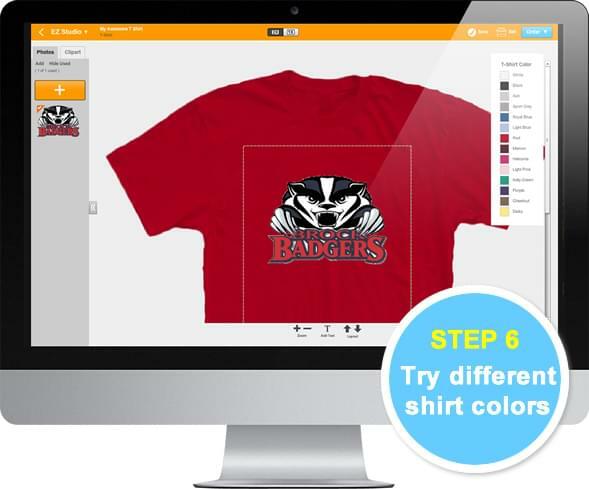 See what color looks the best with your design. Congratulations! Your just designed your own T-Shirt. 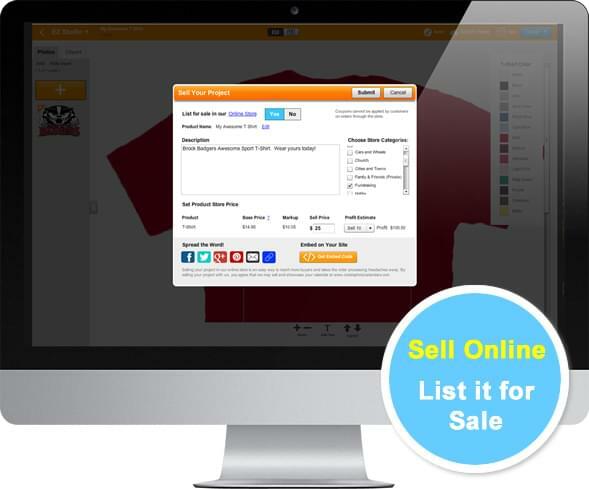 You can now order it or sell it online.